When reading Houses, by CB Follett, one can try to imagine what must have inspired her to write a book of poetry based on a unique take on houses. 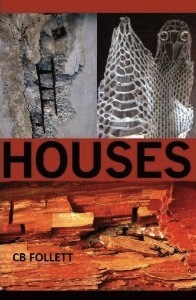 Each poem imagines many homes built on nature, man-made objects, or man-made intellect. Yet, this 33-page chapbook of poetry redefines the meaning of a home by juxtaposing what a home should represent with what a home can represent. Eventually, Houses becomes a bigger part of meaning; redefining and redrawing the very foundation that holds onto our notion of what a home is. on black paper in silver ink. their claws into her ears. inside the house she waited. and there are no houses. CB Follett has six collections of poems and several chapbooks. Her book At the Turning of the Light won the 2001 National Poetry Book Award from Salmon Run Press. And Freddie Was My Darling (Many Voices Press) is her most recent book, with her next book One Bird Falling forthcoming in 2011 from Time Being Books. 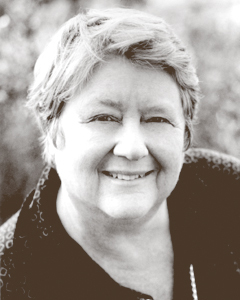 She is the current Poet Laureate of Main County, CA.